The surprise news has broken in Bermuda that after fifteen calls this year by Carnival Cruise Lines, the line has cut back its 2012 program from twelve calls to just one next April. The curious thing is that no one seems to have said why this is happening, except that Carnival have planned alternate itineraries elsewhere. In the UK, meanwhile, in another chase for revenue maximization, Royal Caribbean will abandon winter cruising from Southampton in favour of warm weather cruising from Fort Lauderdale for the foreseeable future. But P&O will have two ships running from Southampton instead. And back to Carnival again, after ten years of no increase, that line is hiking its recommended daily gratuities per person by 15%. This year will see Carnival Cruise Lines offereing a total of fifteen cruises to Bermuda, by the Carnival Fantasy, Carnival Glory, Carnival Miracle and Carnival Pride, but 2012 will see only one call, when the Carnival Pride visits on April 22. 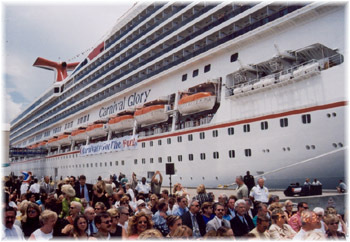 Although Carnival had reserved twelve berths in late 2010, it did not inform Bermuda that it would not be coming until the last week of October, not long after the Carnival Glory had just made her inaugural visit to Bermuda with 2,940 passengers. The ultimate result seems to be that shortly after that news broke, Bermuda Transport Minister Jim Lister was relieved of his cabinet post. Why? Maybe because he was on board the Glory on October 19 and no one from Carnival told him. Maybe because no contract had been signed for the dozen calls and all negotiations had been done by email. Maybe because he had not gone to Carnival headquarters in Miami to cement the deal – after all Carnival is a new customer for Bermuda. Or maybe because the transport infrastructure at Dockyard, of which he was in charge and where all the Carnival ships berth, is inadequate. There have been tales of 45-minute waits in long lines in the baking sun for a ferry or bus to the island’s capital Hamilton, a $35 taxi ride away from the two new cruise piers at Dockyard. Bermuda has a problem when it comes to cruise ships. The newest are all too big and can’t get into either of the island’s traditional ports of Hamilton or St George’s. 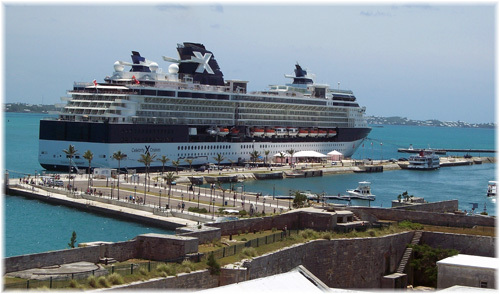 Of all the ships that call into Bermuda on a regular basis, only one, Holland America’s Veendam, docks in Hamilton. Other ships come and go but the regular sailings from New York and Boston all now have to berth at Dockyard, a place that has all the personality of the King’s Court cafeteria on the Queen Mary 2 (soon to be the largest ship in the Bermuda merchant marine). An apology certainly beats having to pay any penalties. The odd thing is that, according to the Government, Carnival had not told them why they were leaving, although there are two strands to this. One is that ships often stay overnight in Bermuda but they are not allowed to open their casinos while in port. Another is the issue of getting around the island from the faraway berths at Dockyard. Many believe it was faster, or at least more enjoyable, in the days when passengers tendered in to Hamilton from the Great Sound, but those were also the days when usually only one large ship would come at a time, for example Queen Elizabeth 2, Oceanic or Kungsholm. But now there are two cruise ship piers at Dockyard – King’s Wharf, which has been in existence for some time, and Heritage Wharf, opened in May 2009. These two facilities can accommodate ships carrying up to 6,000 passengers, something that puts a huge strain on the transport infrastructure. One thing is certain and that is that Bermuda should find out why Carnival has abandoned them and do something about it. 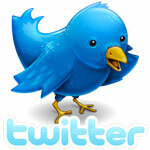 Perhaps Carnival’s passengers have told Carnival something that it has not passed on to Bermuda. 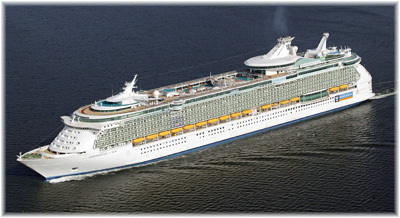 First came the news last week that Royal Caribbean International, after two years of year-round service from Southampton by its 3,634-passenger Independence of the Seas, will be abandoning its UK winter program for 2012/13. She will depart Southampton on November 22, 2012, for Fort Lauderdale, there to arrive on December 5 to start a new program of 6- and 8-day Eastern and Western Caribbean cruises. She will return to the UK in April 2013 to take up her usual summer spot, however. Royal Caribbean is also hoping that a part of her British clientèle will follow her to the warmer climes of the Caribbean. Although winter bookings have been increasing year-on-year on Independence, it appears that, just as Carnival is abandoning Bermuda except for one spring cruise, Royal Caribbean has decided it can make more money in the Caribbean winter market than in the choppy Bay of Biscay trade. But the fact that Independence of the Seas will return in the spring of 2013 will give British snowbirds two more Transatlantic crossings to rely on. Immedtiately on that news, UK-based P&O Cruises announced that it would fill the gap left by the Independence of the Seas by basing two of its own ships in Southampton next winter. 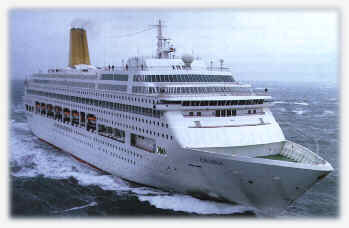 The Oriana and Oceana between them will offer eighteen winter cruises of anything between two and 35 nights duration. Of the two winter ships, the 1,870-passenger Oriana will offer seven cruises from Southampton, including a 10-night Baltic cruise in December,and a 12-night Canary Islands and Morocco cruise in late January. For the 2,016-passenger Oceana, this will be her second year of winter cruising from Southampton and her highlights will include two 7-night Christmas and New Year cruises. 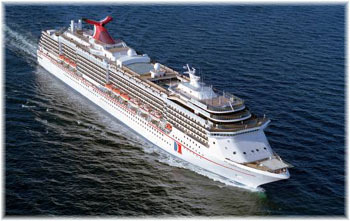 Overall, P&O Cruises plans to offer thirty-nine round trip cruises from Southampton between October 2012 and April 2013. Right after last week’s article on tipping came word from Carnival that it would be raising it’s recommended gratuities level by 15%, from $10 per person per day to $11.50. Seeing that Royal Caribbean recommends $11.65 and Norwegian Cruise Line $12, and Carnival has not changed its recommended tipping for a decade, this should be hardly be a surprise. But apparently readers of Cruise Critic and certain other UK sites think otherwise, with comments ranging from the ridiculous to the sublime. Can you imagine? There was even one post that Fred. Olsen Cruise Lines in the UK was trying to stop (some) British passengers from handing out empty brown envelopes on the last night of the cruise. Fred. Olsen still gives these out to passengers expecting them to tip. This almost makes it appear that Carnival is upping gratuities in the rest of the world just in order to pay the tips of those curmudgeonly Aussies! While Carnival is “Aussifying” the Carnival Spirit it is clear that Celebrity will still expect them to tip when they leave their own Celebrity Century from next March.